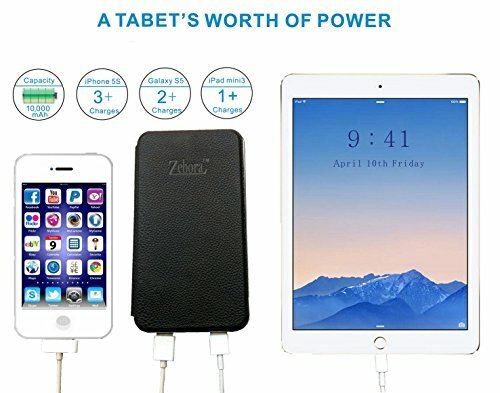 Thanks for choosing Zebora 2 solar panels power bank backup charger. 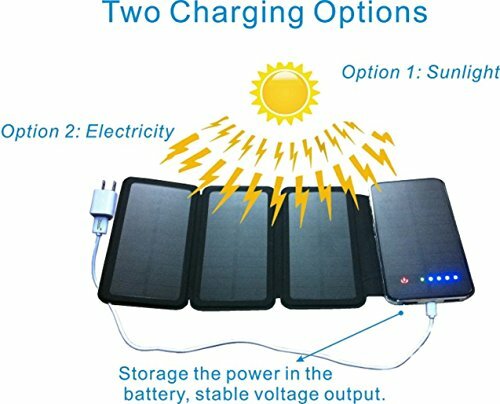 Here are some tips that make the item unique: Fast Charging: The solar panel is made with the best monocrystalline silicone. Its highly effective absorption and transformation promotes the full charging in about 18 hours to get full charges. 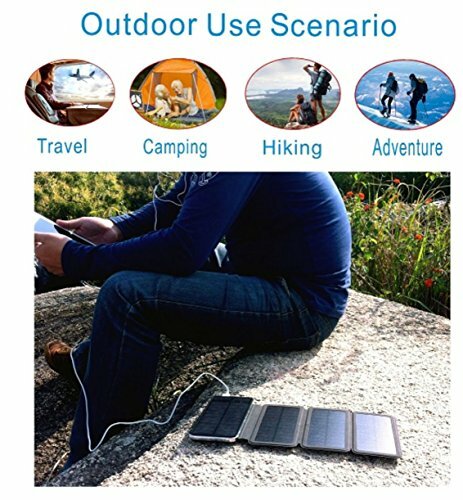 The solar charging can make as an effective and major way when you are outdoors. Transform and store the solar power effectively: Unlike the multi solar panels charger, Zebora 2 solar panels charger is equipped with a power bank which holds the chargers first, and then charging your devices with a stable input. This will protect your expensive tool from the unstable current varied with the strength of sunlight. 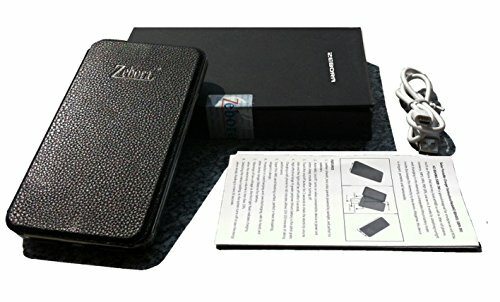 High Capacity: The Zebora solar power bank carries 10,000 mAh capacity which can charge your devices more cycles. 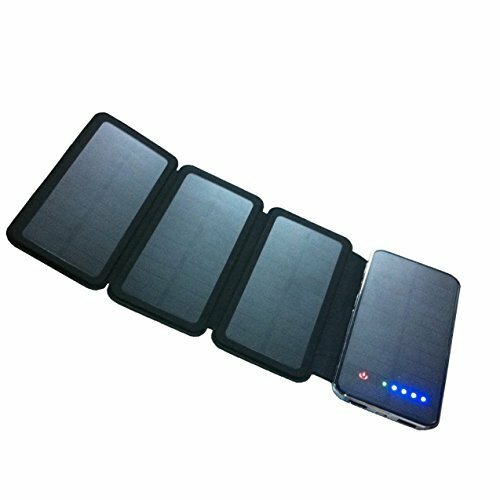 Easy to Carry: Although it has multi solar panels, it is foldable and easy to carry. The size is almost the same as an iPhone 6 when is folded. Fast Solar Charging: It may get full charges in about 8-12 hours (solar charging: 5V/1A input) under direct sunlight, depending on the strength of sunlight. Solar power may take as the major source for charging. It also can be directly charged through wall outlet (5V,1.5A input). 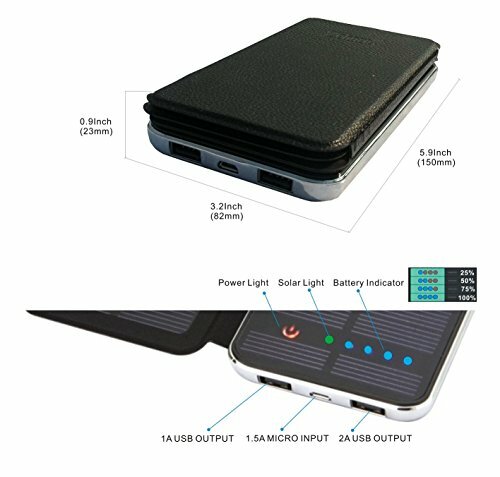 Dual Recharging Technologies: Built-in 10,000mAh high capacity power bank. Not only can you recharge the power bank by sunlight, but also by wall outlet or car charger via the DC port. Fast Output Charging Technology: Build-in smart IC chip for each USB port to charge two devices simultaneously, the charger can automatically and quickly identify the device and maximize its charging speed. Greatest Safety: Best lithium polymer battery grade A cells with anti-explosion, lightweight, compact and reliable, 1000+ recharging cycles over the life of the battery. 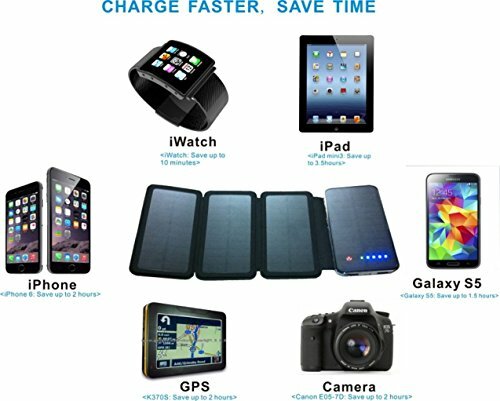 Portable & Compact Design; Easily fit into your bag to provide instant power; Perfect for travel, road trips, hiking, camping or whenever you need to charge your mobile devices wherever you are. If you have any questions about this product by Zebora, contact us by completing and submitting the form below. If you are looking for a specif part number, please include it with your message.